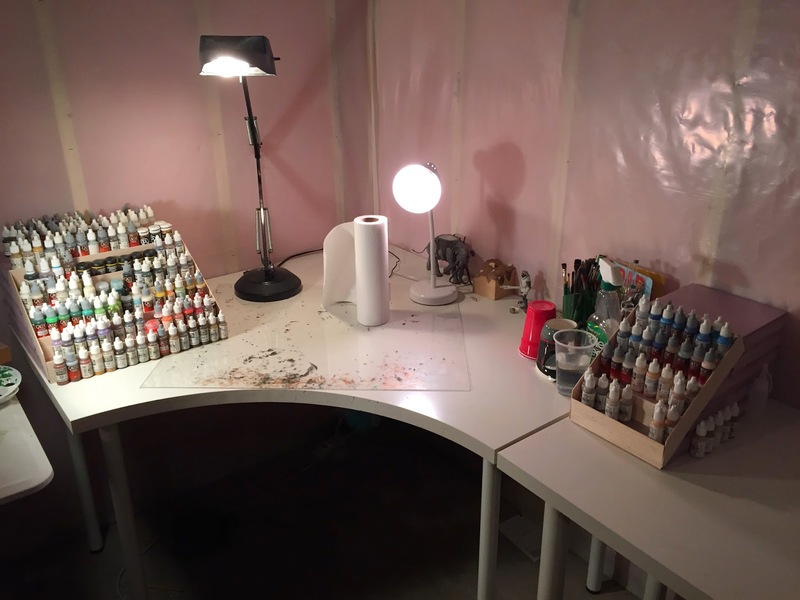 Thought I would write up a blog post detailing how I made up some paint racks on a budget. First - you need to understand my problem. 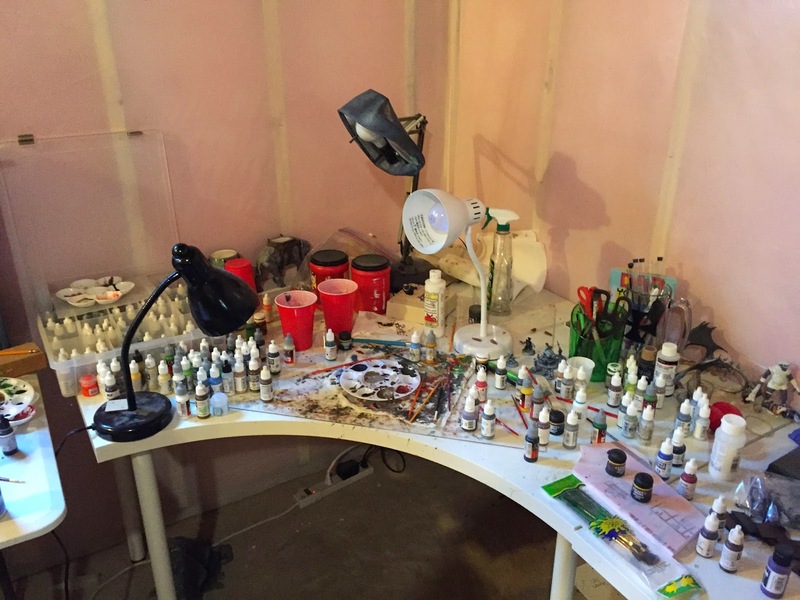 My paint area was a nightmare. I was using some organizer I'd picked up at Hobby Lobby to store paints. I could never see the paints so I would get them out and leave them on the desktop. This led to not only this massive mess - but I ended up buying multiple duplicates of paint I already owned but couldn't find. I started researching paint racks and found many I loved and really wanted to own. Sadly, everything I found was ridiculously expensive and / or a terrible fit for my workspace. I need a rack that would "jut" out from the wall which is set back quite a ways. Like the Rodge I'm a rather thrifty dude as I prefer to spend my hobby dollars on figs and board games and not "stuff". 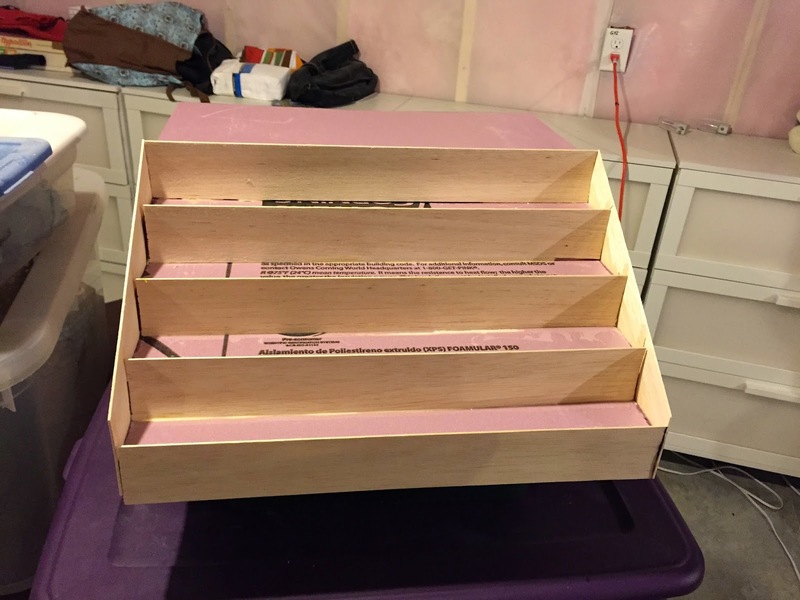 So I set about making my own paint racks to avoid the cost. 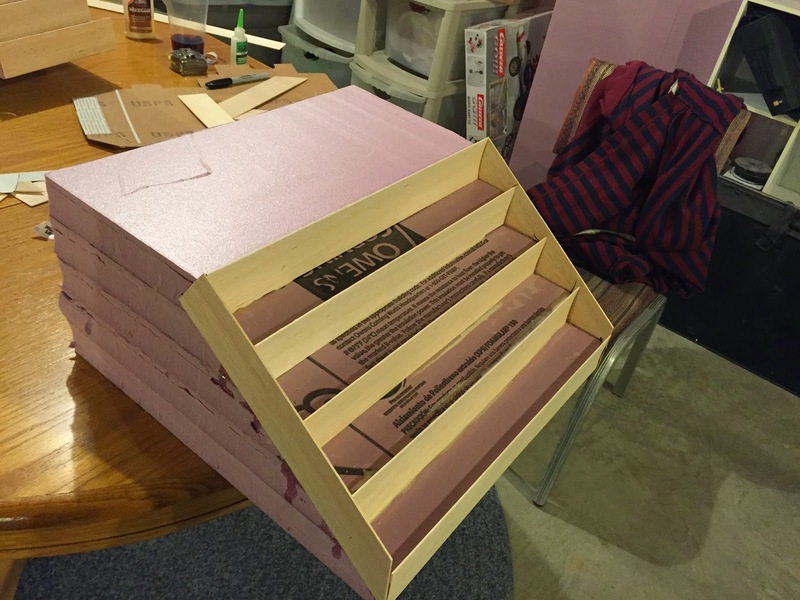 I don't yet own a table saw so that deterred me from using wood for the project. So my next best material was sheet Styrofoam insulation board. 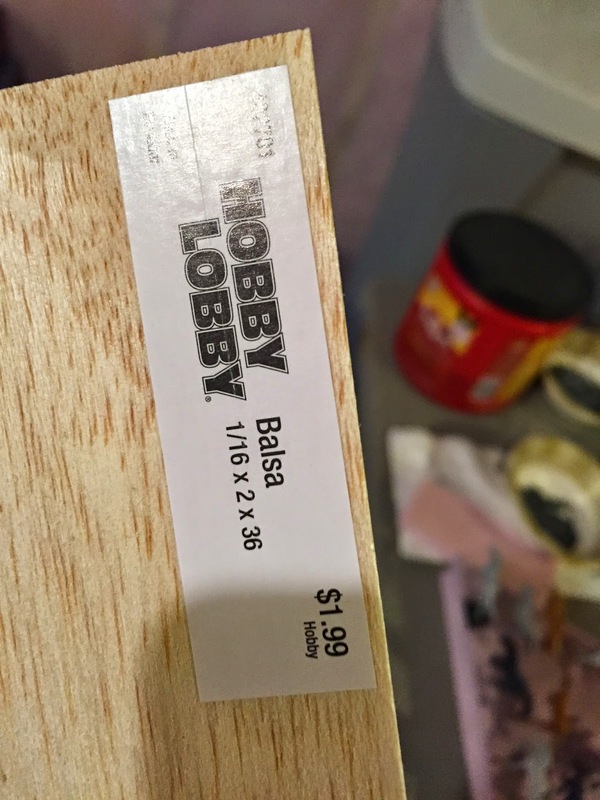 I also hit up Hobby Lobby and picked up some cheap balsa wood for trim. $10 with the weekly 40% off coupon. 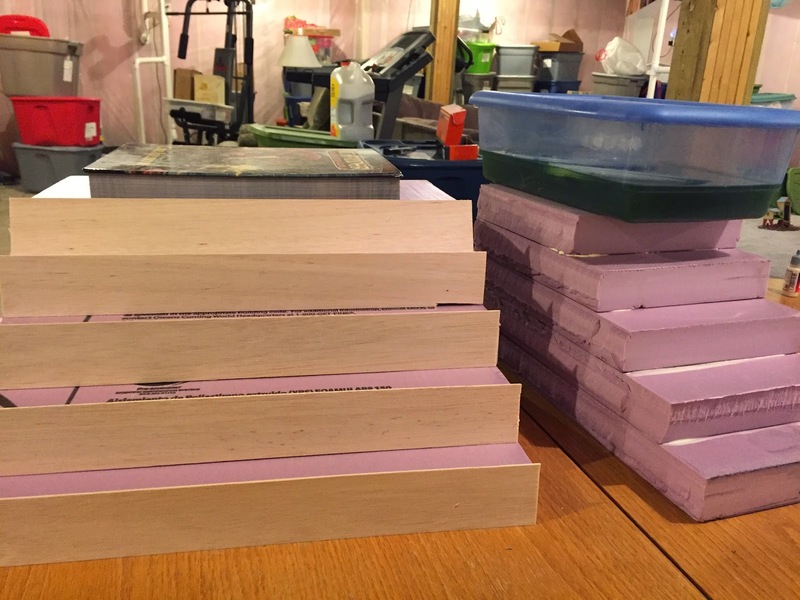 Each next tier was then roughly 2" shorter then the prior tier. Once all the tiers were cut, some wood glue went down and I had a good start. As you can see all of my cuts didn't end up very straight which caused a bit of hassle later on... 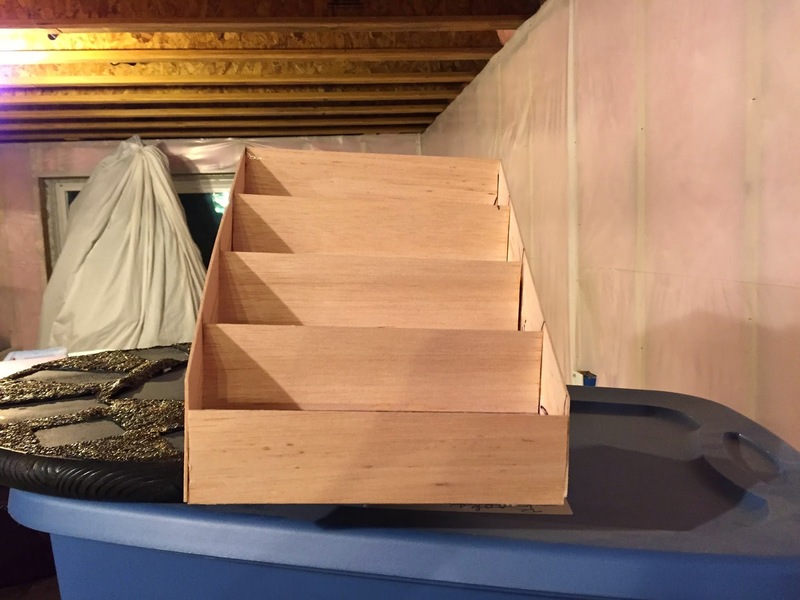 I then custom cut balsa to fit each tier to create the "shelf and keep the paint in place. I let each "rack" dry overnight and got back to it the next day or so later. 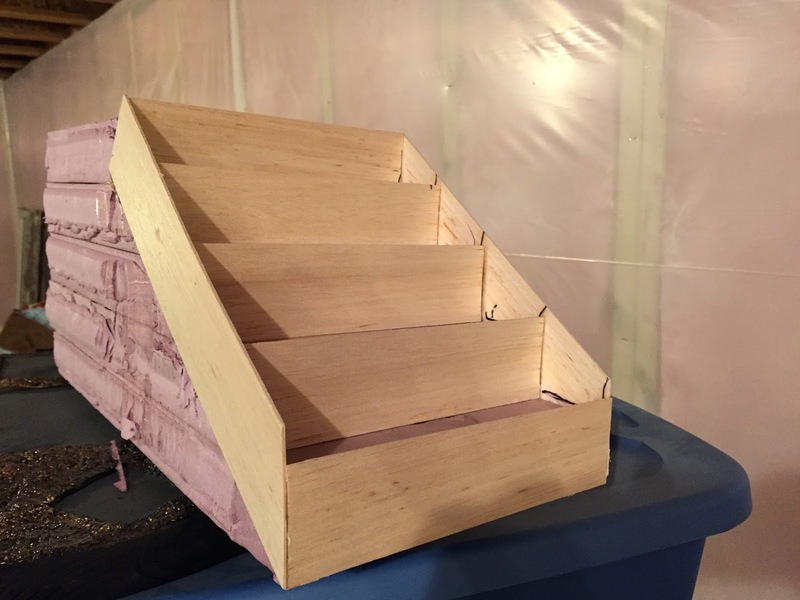 The next step was to glue the balsa "faces" to each step. On the very straight shelves this was easy and woodglue got the job done. On the shelves with more jagged edges I added some strategically placed superglue along with the woodglue. The superglue would hold it in place while the woodglue dried. The last step was to cut out some side pieces of balsa to prevent paint from falling off the sides. (*I'd considered using plastic card for this but it wasn't rigid enough.) I glued those on in the same fashion (using superglue as needed). And then added them, by color, to the racks. I put the paints I used the least in the "off-rack". (Flesh tones and blues). 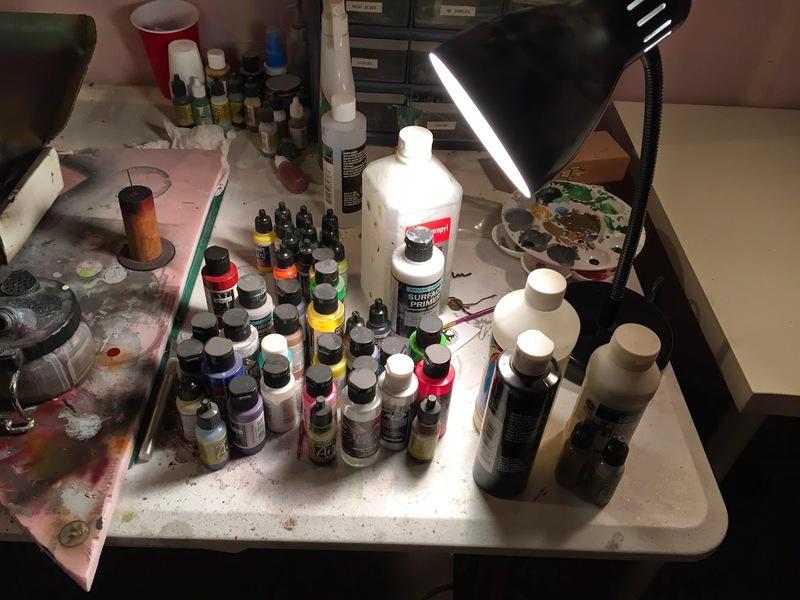 On the top of the main rack, I used the surface for storing the duplicate paints. Overall I'm really happy with how this project turned out. 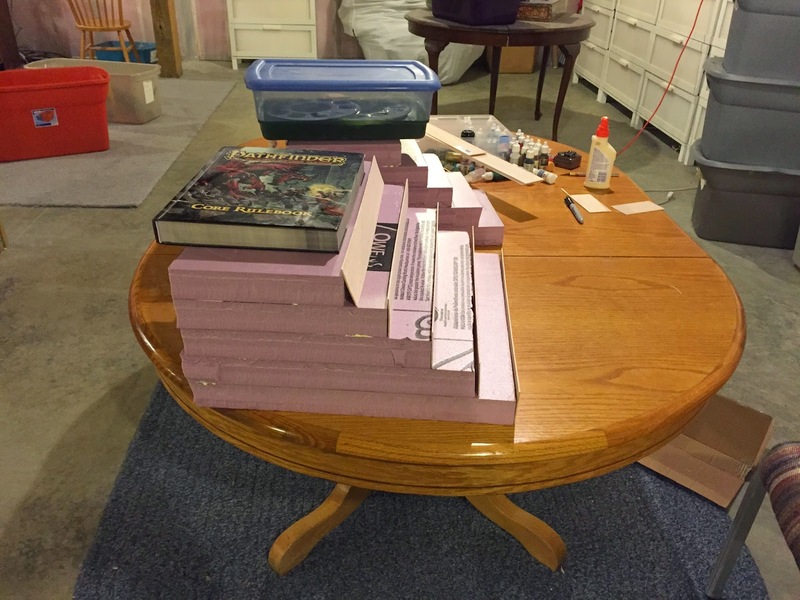 I spent $30 and could make probably 2-3 more of these and also display bases / terrain with the leftover foam. They are nowhere near as "pretty" as some of the racks you can buy but these are custom fit for my space so the function far outweighs the fashion. 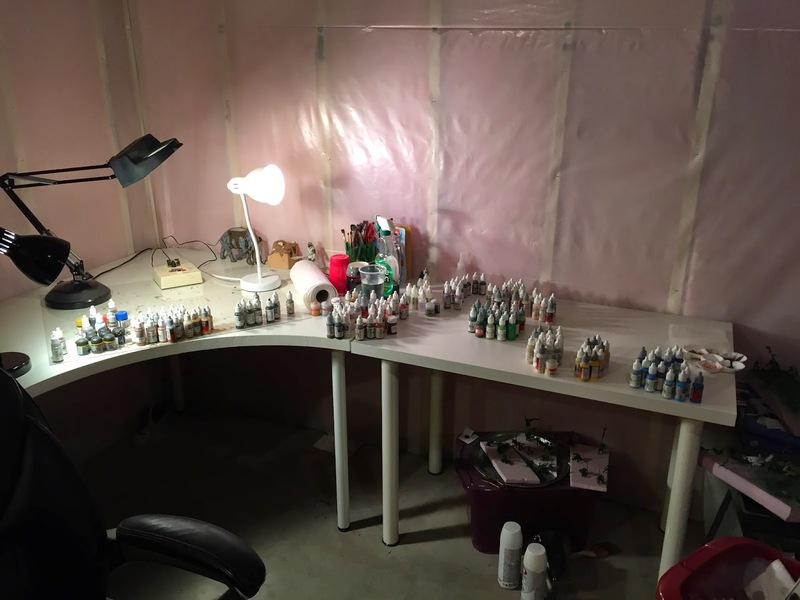 The next step will be to make another set for my airbrush table / paints..
First I'm gonna sit down and get some paint on some models! How many paints does that hold? The big one has about 80 paints in it and a ton on top. The little one is at 40 with room for a few more.